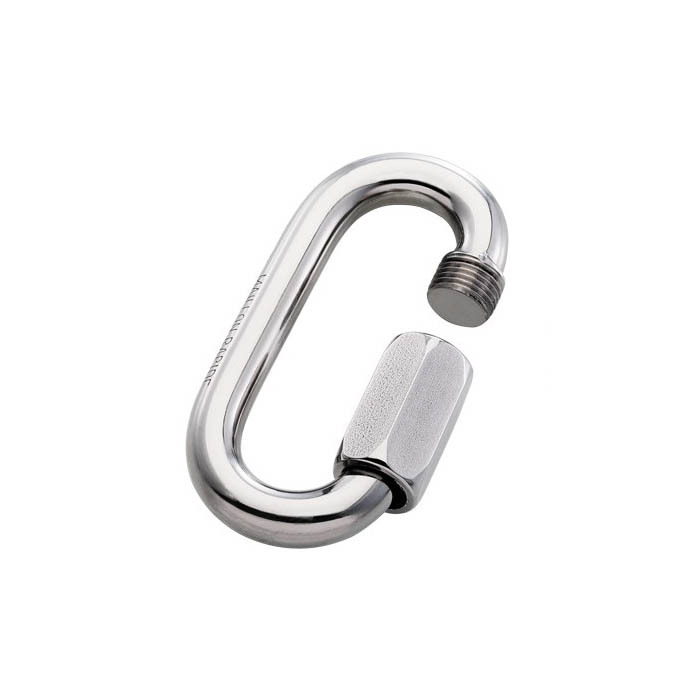 Maillon Rapide quick links are manufactured by Péguet, the inventor and world leader in the manufacture of high quality quick links. Maillon Rapide quick links can be described as a mechanical connector composed of two parts, a rod and a nut. Product manufacture is by continuous material forming and bending machine tools, some of which were specially developed in-house, and final product assembly, much of it still by hand for the highest quality finish. When selecting Mallion Rapide’s always consider the Working load limit in kg, or Breaking load limit in kN marked on the Maillon Rapide quick link. These limits are only met when the connector is fully closed and correctly torqued.